The influx of private equity funds is contributing to a greater focus on compliance and corporate governance, said panellists at Latin Lawyer’s 8th Annual Private Equity Conference, held in New York last month. High scrutiny when private equity funds look to monetise their investments forces them to take compliance seriously when making purchases. “When private equity funds exit, every single investment bank will have the exit company fill out a questionnaire that’s 20 pages long on all their FCPA and anti-money laundering policies. So, if it doesn’t affect pricing on the way in, it definitely affects the possibility of the exit on the way out,” said Cleary Gottlieb Steen & Hamilton LLP partner Adam Brenneman, who moderated a session on governing private equity. The increased focus on compliance is hitting small and mid-sized companies hardest. “The majority of private equity investments are made in the middle market. It’s very hard to find companies there that have audited their financial statements,” said Rebaza, Alcázar & De Las Casas partner Felipe Boisset. This means lawyers doing due diligence have to pay particular attention to criminal liabilities and tax and labour contingencies, he continued. Sometimes, an absence of paperwork means lawyers must find other ways to find out about a company. “In Peru we have a very small business community so it’s very easy to find out the character of the shareholder that is selling. You can make a couple of calls and find out really fast about a company – such as whether it is bribing to obtain contracts and does not like to pay taxes, or does not like to pay extra hours to the personnel,” said Boisset. The situation is similar in Argentina, said Bruchou, Fernández Madero & Lombardi partner Hugo Bruzone. He told delegates of one Argentine company that no-one has bought despite it being for sale. “Potential buyers have three conversations: one with an investment banker, one with a lawyer and another with whoever in the business community, and they move out,” he said. Even in cases where there is more of a paper trail to follow, sometimes there is no substitute for gut instinct, said BMA - Barbosa, Müssnich, Aragão partner Monique Mavignier. She recalled doing due diligence on a target company for a private equity client that did not raise any flags. However, the customer had a “hunch that something was wrong” and implemented strong compliance programmes once they had made the acquisition. When bribery issues surrounding the company did emerge, the client was protected to a degree by the measures it had put in place. Despite the risks posed by corruption, many minority shareholders are loath to implement the kind of costly compliance policies that private equity funds favour. “It is very hard to convince [minority shareholders] to bring in a Big Four auditor that is much more expensive than the other auditing companies or hire a permanent compliance manager,” said Boisset. This reluctance means lawyers must make sure there are clear provisions in shareholder agreements to ensure a private equity fund’s wishes are honoured, he added. But companies that are resistant to implementing expensive compliance measures can change their tune once they start reaping the benefits, said Mavignier. “Although these companies do resist in the beginning because it increases costs and changes how they operate, at the end they look back and recognise it was worthwhile,” she added. 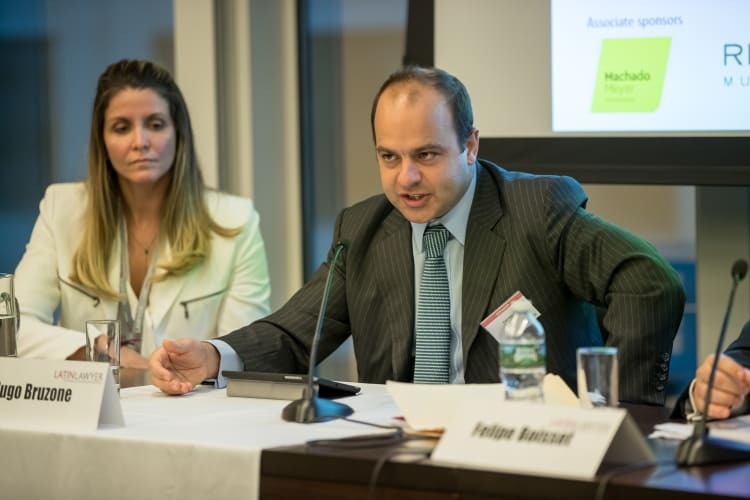 Simpson Thacher & Bartlett LLP's Todd Crider and Francisco Ugarte of Chile’s Carey chaired the conference, which took place at Simpson Thacher’s New York office. In previous panels, delegates heard how onerous regulation is impeding leveraged buyouts and how long-term and sector-focused private equity investors are flocking to Latin America. Another panel explained how corruption issues are derailing many private equity investments. Latin Lawyer will continue to report on the private equity conference in the daily news briefing.